Beyond Brotherhood is written and directed by Arianne Benedetti from her 2002 script, published in 2007 as a best selling novel. 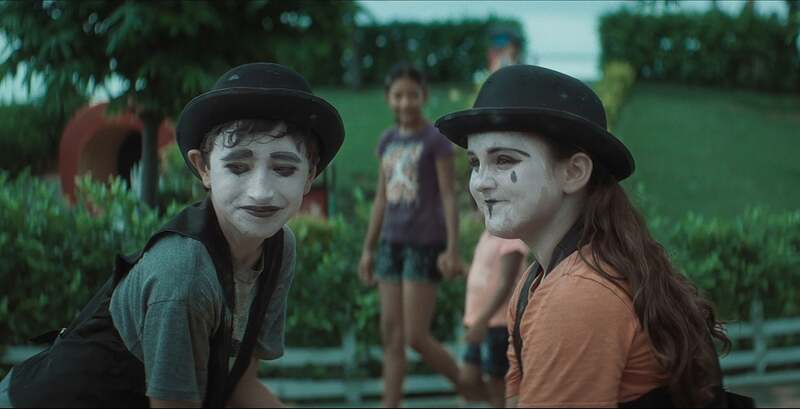 After directing commercials, short films and a TV sitcom, Beyond Brotherhood is her feature-film debut, shot in the old quarter of Panama City and in Playa Blanca. Born in Panama in 1977, Arianne has an Italian last name because her grandfather was from Sicily. She attended college in Mobile, Alabama, then studied for a Masters degree in Madrid, where one day, while playing trumpet in El Retiro Park, she saw two homeless kids juggling, and that gave her the inspiration for this fictional story. Two orphaned children, brother and sister, live on the streets after their parents’ accidental death; their backstory is shown in flashback. A kindly old man (Eric Roberts speaking Spanish) helps them and becomes a grandfather figure. They survive by supporting each other, often reciting this mantra; “When we were children we were courageous, now that we are grown-ups, on guard you coward.” They grow into successful adults and open a restaurant together, with their best friend Mani (Arianne Benedetti), when tragedy strikes again. Their moving love story is narrated in English by a Psychology professor (Drew Fuller) who is writing a book. Maria Conchita Alonzo has a cameo as Puchy, who gives the children a place to live in exchange for cleaning the toilets of her restaurant. Benedetti, who has an older brother named Leo, expresses in this film her belief in brotherly love that is stronger than romantic love. Played by Columbian actress Valerie Dominguez as an adult, Mia explains her love for her brother Joshua (Roberto Duran), “When our parents died, he became my father, my mentor and my best friend. An admirer of the Spanish cinema by Pedro Almodóvar and Alejandro Amenábar, Benedetti became Panama Film Commissioner in 2011, started financing local filmmakers and the Panamanian Film festival.